+ I suppose Daniel could see the future until the last days. + The book implies that Daniel was its author in several passages, such as 9:2; 10:2. That Jesus concurred is clear from his reference to "the abomination that causes desolation,' spoken of through the prophet Daniel" (Mt 24:15;), quoting Daniel 9:27 ; 11:31; 12:11. The book was probably completed c. 530 b.c., shortly after Cyrus the Great, king of Persia, captured the city of Babylon in 539. + The widely held view that the book of Daniel is largely fictional rests mainly on the modern philosophical assumption that long-range predictive prophecy is impossible. .... Therefore all fulfilled predictions in Daniel, it is claimed, had to have been composed no earlier than the Maccabean period (second century b.c. ), after the fulfillments had taken place. The Book of the Prophet Daniel is written in a unique style–much like that of Revelation (Apocalypse), hence the name apocalyptic literature. This is a special kind of prophecy, which uses colorful imagery, allegory, and metaphor in an almost secret-code of sorts. Just as John wrote his Apocalypse during the reigns of Emperors Domitian, Nerva, and Trajan. The book is made up primarily of historical narrative ( found mainly in chs. 1 - 6 ) and apocalyptic ("revelatory") material (found mainly in chs. 7 - 12). + The dream of the statue depicts EIGHT kingdoms; SEVEN disappear when a stone breaking their feet. The stone represents a new kingdom that will grow and will not be destroyed. Nebuchadnezzar II (c 634 – 562 BC) was king of the Neo-Babylonian Empire, who reigned c. 605 BC – 562 BC. He is credited with the construction of the Hanging Gardens of Babylon and for the destruction of the First Temple. He is featured in the Book of Daniel and is mentioned in several other books of the Bible. In 539 BC Cyrus invaded Babylonia. Cyrus now claimed to be the legitimate successor of the ancient Babylonian kings and the avenger of Bel-Marduk, who was assumed to be wrathful at the impiety of Nabonidus in removing the images of the local gods from their ancestral shrines, to his capital Babylon. Previously, in 553 BC, Cyrus the Great, King of Persia, rebelled against his grandfather, the Mede King, Astyages son of Cyaxares; he finally won a decisive victory in 550 BC resulting in Astyages' capture by his own dissatisfied nobles, who promptly turned him over to the triumphant Cyrus. Alexander the Great, who conquered Persia and most of the known world back in 330 BC. Alexander beat the Persian army three times, with the final showdown taking place at Gaugamela, in modern day Iraq. Babylon remained a major city until Alexander the Great destroyed the Achaemenid Empire in 332 BC. Alexander the Great conquered the Achaemenid Empire in a short time and died young, leaving a partially Hellenized vast empire without an adult heir. On either 10 or 11 June 323 BC, Alexander died in the palace of Nebuchadnezzar II, in Babylon, at age 32. The empire was put under the authority of a regent in the person of Perdiccas and the territories were divided between Alexander's generals. Dissension and rivalry soon afflicted the Macedonians, however. The satrapies handed out by Perdiccas at the Partition of Babylon became power bases each general used to bid for power. After the assassination of Perdiccas in 321 BC, Macedonian unity collapsed, and 40 years of war between "The Successors" (Diadochi) ensued before the Hellenistic world settled into four stable power blocks: the Ptolemaic Kingdom of Egypt, the Seleucid Empire in the east, the Kingdom of Pergamon in Asia Minor, and Macedon. In the process, both his son Alexander IV by Roxane being born after Alexander's death and Roxane were murdered. After Alexander death, Babylon passed to Seleucus. He was a leading officer of Alexander the Great's League of Corinth and one of the Diadochi. Seleucus was nominated as the satrap of Babylon in 320 BC. Antigonus forced Seleucus to flee from Babylon, but, supported by Ptolemy, he was able to return in 312 BC. After Alexander the Great death, Babylon passed to the Seleucid Empire, and a new capital named Seleucia was built on the Tigris about 40 miles north of Babylon (10 miles south of Baghdad). Upon the founding of Seleucia, Seleucus I Nicator ordered the population of Babylon to be deported to Seleucia, and the old city fell into slow decline. Seleucus established the Seleucid dynasty and the Seleucid Empire. His kingdom would be one of the last holdouts of Alexander's former empire to Roman rule. They were only outlived by the Ptolemaic Kingdom in Egypt by roughly 34 years. By 100 BC, the once formidable Seleucid Empire encompassed little more than Antioch and some Syrian cities. Despite the clear collapse of their power, and the decline of their kingdom around them, nobles continued to play kingmakers on a regular basis, with occasional intervention from Ptolemaic Egypt and other outside powers. After the Roman conquest of Pontus, the Romans became increasingly alarmed at the constant source of instability in Syria under the Seleucids. Once Mithridates was defeated by Pompey in 63 BC, Pompey set about the task of remaking the Hellenistic East, by creating new client kingdoms and establishing provinces. While client nations like Armenia and Judea were allowed to continue with some degree of autonomy under local kings, Pompey saw the Seleucids as too troublesome to continue; and doing away with both rival Seleucid princes, he made Syria into a Roman province. POMPEY THE GREAT 106 - 48 B.C. In 63 BC, Pompey was a military and political leader of the late Roman Republic, set about the task of remaking the Hellenistic East, by creating new client kingdoms and establishing provinces. While client nations like Armenia and Judea were allowed to continue with some degree of autonomy under local kings, Pompey saw the Seleucids as too troublesome to continue; and doing away with both rival Seleucid princes, he made Syria into a Roman province. Roman society was hierarchical. The evolution of the Constitution of the Roman Republic was heavily influenced by the struggle between the patricians, Rome's land-holding aristocracy, who traced their ancestry back to the early history of the Roman kingdom, and the plebeians, the far more numerous citizen-commoners. Over time, the laws that gave patricians exclusive rights to Rome's highest offices were repealed or weakened, and leading plebeian families became full members of the aristocracy. The leaders of the Republic developed a strong tradition and morality requiring public service and patronage in peace and war, making military and political success inextricably linked. The Roman Empire (Latin: Imperium Romanum) was the post-Republican period of the ancient Roman civilization, characterised by an autocratic form of government and large territorial holdings around the Mediterranean in Europe, Africa, and Asia.The 500-year-old Roman Republic, which preceded it, had been destabilized through a series of civil wars. The first two centuries of the Empire were a period of unprecedented stability and prosperity known as the Pax Romana ("Roman Peace"). It reached its greatest expanse during the reign of Trajan (98–117 AD). In the 3rd century, the Empire underwent a crisis that threatened its existence, but was reunified and stabilized under the emperors Aurelian and Diocletian. Several events from the 4th to 6th centuries mark the transitional period during which the Roman Empire's east and west divided. In 285, the emperor Diocletian (r. 284–305) partitioned the Roman Empire's administration into eastern and western halves. CHRISTIANS rose to power in the 4th century, during which time a system of dual rule was developed in the Latin West and Greek East. After the collapse of central government in the West in the 5th century (476) , the eastern half continued as what would later be known as the Byzantine Empire (c. 395 - 1453). + Daniel 2: 42 And as the toes of the feet were part of iron, and part of clay, so the kingdom shall be partly strong, and partly broken. CLAY & IRON . Daniel 2:42 And as the toes of the feet were part of iron, and part of clay, so the kingdom shall be partly strong, and partly broken. + The Medes and Persians are confused with each other, but if the stone is the Christendom, then there are EIGHT kingdoms. + Rome and its internal problems is the 5, 6 & 7 kingdom, and I refer to struggles between patricians and plebeians, republic and dictatorship, and the administrative division of the empire & the Byzantine Empire. If iron represents the Greek world, the unstable mixture with clay also represents the future Eastern Roman Empire or Byzantine. The Byzantine Empire was the predominantly Greek-speaking continuation of the Roman Empire during Late Antiquity and the Middle Ages. Its capital city was Constantinople (modern-day Istanbul), originally known as Byzantium. This explains the bad relationship between clay and iron as Daniel wrote. + And if Daniel knew the Romans fate then the text is truly prophetic after all. + Daniel revealed that the King’s dream of the great tree represented how great was Nebuchadnezzar and his kingdom. Daniel also revealed that the tree being cut down and being covered with dew and having grass grow up around it foretold that the King, because of his pride, would be removed as King and would go around like an animal for 7 years. After that the King would be restored. + This verse is interesting because the theme of the heart will be repeated in reverse (Dream of 4 beasts), and the mention of time (7 times = 7 years?). He is the first beast of "the vision of the four beasts", I suppose..
- 4 Beasts (kings) but only one (the son of man) can remain FOREVER--- again. __If the lion has a human heart and wings have been torn the first beast is a good Beast / King. + 2nd Beast: Darius III, the Persian king, strong as a bear but also gluttonous and sleepyhead. The three ribs represent the Royal number. Compared to his ancestors and his fellow heirs who had since perished, Darius had a distinct lack of experience ruling an empire, and a lack of any previous ambition to do so. Darius was a ruler of entirely average stamp, without the striking talents and qualities which the administration of a vast empire required during that period of crisis. +3rd Beast: Alexander the Great and his generals (still dependent on his body) fast and powerful as a leopard. "The Successors" (Diadochi) ensued before the Hellenistic world settled into FOUR stable power blocks: the Ptolemaic Kingdom of Egypt, the Seleucid Empire in the east, the Kingdom of Pergamon in Asia Minor, and Macedon. +4 r Beast: Antiochus IV. __But what things mean then that the 10 / 11 horns? __13 Kings. They are the list of the kings of the Seleucid empire under the name "Antiochus". Antiochus V "Eupator". He was only nine years old when he succeeded to the kingship, following the death in Persia of his father Antiochus IV Epiphanes and his mother Laodice IV. The general Lysias, who had been left in charge of Syria by Epiphanes, served as regent for the child, although he was challenged by other generals. The Roman Senate still kept Demetrius, son of Seleucus IV and the rightful heir to the throne, as hostage, refusing to release him because they considered it better to have Syria nominally ruled by a boy and his regent than the 22-year-old Demetrius. ....But Demetrius escaped from Rome and was received in Syria as the true king. Antiochus Eupator was soon put to death together with his protector Lysias. Antiochus VI "Dionysus" + He did not actually rule. 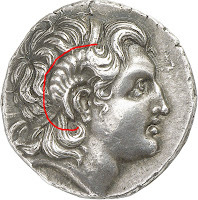 Either already in 145 or in early 144 BC he was nominated by the general Diodotus Tryphon as heir to the throne in opposition to Demetrius II, and remained the general's tool. In c. 142/1 BC, the young king died. He was a child. Antiochus XIII "Asiaticus". He was son of king Antiochus X Eusebes and the Ptolemaic princess Cleopatra Selene I, who acted as regent for the boy after his father's death sometime between 92 and 85 BC. Some time after Tigranes had conquered Syria (83 BC), she traveled to Rome to have her sons recognized as kings of Egypt, but to no avail. They were there between at least between 75 BC and 73 BC; recognized as "Kings of Syria", and "maintained a royal state" . Selene was eventually captured and killed by Tigranes, but after the latter's defeat by Pompey, the residents of Antioch hailed Antiochus XIII as king, and Lucius Lucullus approved his appointment as client ruler of Syria (69 BC). In 64 BC, Pompey had him deposed and he was killed by a Syrian chieftain named Sampsiceramus I. Antiochus' death is traditionally said to have ended the Seleucid dynasty, but he was survived by Philip II Philoromaeus for a short time (65-64). + Certainly, the number of kings with this name is 13. .... but two non reigned for being underage and they could not mature. Antiochus XIII also was merely a tool of Rome, so the number of kings can be reduced to 10 or 11. + The horn that expels three horns is the number of the king (3 +1 = 4 or IV). + This shows that the book of Daniel could not be written at the time of the Maccabees (164-63 BC) because Antiocus XII was killed in 64 BC. Christendom,or the Christian world, has several meanings. In a cultural sense, it refers to the worldwide community of Christians, adherents of Christianity. In its historical sense, the term usually refers to the medieval and early modern period, during which the Christian world represented a geopolitical power juxtaposed with both paganism and especially the military threat of the Muslim world. + Alexander the Great conquered the Achaemenid Empire in a short time and died young, leaving a partially Hellenized vast empire without an adult heir. After Alexander the Great dead dissension and rivalry soon afflicted the Macedonians. The satrapies handed out by Perdiccas at the Partition of Babylon became power bases each general used to bid for power. After the assassination of Perdiccas in 321 BC, Macedonian unity collapsed, and 40 years of war between "The Successors" (Diadochi) ensued before the Hellenistic world settled into FOUR stable power blocks: the Ptolemaic Kingdom of Egypt, the Seleucid Empire in the east, the Kingdom of Pergamon in Asia Minor, and Macedon. In the process, both his son Alexander IV by Roxane being born after Alexander's death and Roxane were murdered. 4 Empires of the succesors of Alexander the great. The son of the horn is Antiochus IV Epiphanes, Seleucid king 175-164 B.C., favored Greek culture. His suppression of Judaism led to the Wars of the Maccabees. His often eccentric behavior and capricious actions led some of his contemporaries to call him Epimanes ("The Mad One"), a word play on his title Epiphanes. Antiochus IV ruled the Jews from 175 to 164 BC. He is remembered as a major villain and persecutor in the Jewish traditions associated with Hanukkah, including the books of Maccabees and the "Scroll of Antiochus". Rabbinical sources refer to him as הרשע harasha ("the wicked"). Antiochus died suddenly of disease in 164 BC. To consolidate his empire and strengthen his hold over the region, Antiochus decided to side with the Hellenized Jews by outlawing Jewish religious rites and traditions kept by observant Jews and by ordering the worship of Zeus as the supreme god (2 Maccabees 6:1–12). This was anathema to the Jews and when they refused, Antiochus sent an army to enforce his decree. Because of the resistance, the city was destroyed, many were slaughtered, and a military Greek citadel called the Acra was established. A number of historical critical scholars as well as Jewish and Christian commentaries view the Book of Daniel as being written during the time of Antiochus IV, with the prophetic visions describing him. Antiochus is seen as the "little horn" of Daniel 7 and Daniel 8, the "prince who is to come" of Daniel 9, and the final "King of the North" of Daniel 11. 70 & 70 & 70 AC . + We find in Jeremiah two types of prophecies, a reference to the return that would result from exile in Babylon, which even predicts its duration, 70 years. "This whole land will be a desolation and a horror, and these nations will serve the king of Babylon seventy years." "For thus says the LORD, 'When seventy years have been completed for Babylon, I will visit you and fulfill My good word to you, to bring you back to this place". .... And others refer to the return in the last days, not only of Judah but of all Israel, as the cap. 3:17-18 "At that time they shall call Jerusalem:" Throne of the Lord "and all nations gathered to it, to Jerusalem, for the name of the Lord, and no longer will they follow the stubbornness of their heart. In those days the house of Judah shall walk with the house of Israel, and they shall come together from the land of the north to the land I gave your fathers as an inheritance. " + When the Egyptians were defeated by the Babylonians at Carchemish in c. 605 BC, Jehoiakim, king of Judah, changed allegiances, paying tribute to Nebuchadnezzar II of Babylon. __After three years, with the Egyptians and Babylonians still at war, he switched back to the Egyptians and ceased paying the tribute to Babylon. In 599 BC, Nebuchadnezzar II invaded Judah and laid siege to Jerusalem. In 598 BC, Jehoiakim died and his body was thrown out of the walls. He was succeeded by his son Jeconiah (also known as Jehoiachin). Jerusalem fell within three months. Jeconiah was deposed by Nebuchadnezzar, who installed Zedekiah, Jehoiakim's younger brother, in his place. Jeconiah, his household, and many of the elite and craftsmen of Judah were exiled to Babylon. __The first Temple was destroyed by the Babylonian king Nebuchadnezzar II in 586. C., which also led captive a large part of the inhabitants of the Kingdom of Judah toward Chaldean land. __The forced exile ended in c. 538 0r 537 BCE after the fall of Babylon to the Persian king Cyrus the Great, who gave the Jews permission to return to Yehud province and to rebuild the Temple in Jerusalem. __The captivity and subsequent return to Judea, and the rebuilding of the Temple in Jerusalem are considered significant events in Jewish history and culture, which had a far-reaching impact on the development of Judaism. __In the spring of 516. C. the second temple was ready for consecration, over twenty years after the return from captivity. The temple was completed on the third day of the month Adar, in the sixth year of the reign of Darius (Ezra 6:15). *Babilonian rule over Judah or exile 609/7/5 - 539/8/7 = 70. Rebuilding Jerusalem Temple 586/5 - 516/5 = 70. ___So, the dates are approximate. But Daniel wrote 70 weeks (The Hebrew word "shebha" used to designate "week" means "seven" and can be used both for days or for years). So, Gabriel tells to Daniel that 490 years "are determined upon thy people (Israel) and upon thy holy city (Jerusalem)"
+ Order to restore Jerusalem. + Reconstruction in times of trouble and finally the Messiah will die, an enemy boss ordered to attack the city, death and destruction everywhere. __In Artaxerxes' 20th year (444 BC, perhaps), Nehemiah, the king's cupbearer, apparently was also a friend of the king as in that year Artaxerxes inquired after Nehemiah's sadness. Nehemiah related to him the plight of the Jewish people and that the city of Jerusalem was undefended. The king sent Nehemiah to Jerusalem with letters of safe passage to the governors in Trans-Euphrates, and to Asaph, keeper of the royal forests, to make beams for the citadel by the Temple and to rebuild the city walls. In theory, the book of Nehemiah covers 445-433 BC but Elephantine papyri, mentioning Sanballat (Nehemiah 2:19) and Johanan (Nehemiah 6:18), informs us that Nehemiah longer governor of Judah before 408 BC. He then took measures to repopulate the city and purify the Jewish community, enforcing the cancellation of debt, assisting Ezra to promulgate the law of Moses, and enforcing the divorce of Jewish men from their non-Jewish wives. After 12 years as governor (446 - 434 BC, perhaps), during which he ruled with justice and righteousness, he returned to the king in Susa. After some time in Susa he returned to Jerusalem, only to find that the people had fallen back into their evil ways. Non-Jews were permitted to conduct business inside Jerusalem on the Sabbath and to keep rooms in the Temple. Greatly angered, he purified the Temple and the priests and Levites and enforced the observance of the law of Moses. + I do not know if the dates are correct but if Titus destroyed Jerusalem in the year 70 after Christ, the countdown (-490) gives the year of 420 BC for the order of the king (or governor) to rebuild Jerusalem and the appointment of a Jew as ruler (Messiah prince) . __When Alexander the Great conquered the Persian Empire, Jerusalem and Judea came under Macedonian control, eventually falling to the Ptolemaic dynasty under Ptolemy I. In 198 BC, Ptolemy V lost Jerusalem and Judea to the Seleucids under Antiochus III. The Seleucid attempt to recast Jerusalem as a Hellenized city-state came to a head in 168 BC with the successful Maccabean revolt of Mattathias and his five sons against Antiochus Epiphanes, and their establishment of the Hasmonean Kingdom in 152 BC with Jerusalem again as its capital. In 63 BC, Pompey the Great intervened in a Hasmonean struggle for the throne and captured Jerusalem, extending the influence of the Roman Republic over Judea. Following a short invasion by Parthians, backing the rival Hasmonean rulers, Judea became a scene of struggle between pro-Roman and pro-Parthian forces, eventually leading to the emergence of Edomite Herod, who would be appointed King of the Jews by the Roman senate and establish the Herodian dynasty. +So end of the sacrifices, and the death of who ordered this devastation. __The temple was destroyed by the Romans during the Siege of Jerusalem in 66 - 70 AC. Facing assassination, Nero committed suicide on 9 June 68 (the first Roman emperor to do so) His death ended the Julio-Claudian Dynasty, sparking a brief period of civil wars known as the Year of the Four Emperors. The conquest of Jerusalem in 70 AC. was a decisive event in the First Jewish - Roman War. It was followed by the fall of Masada in 73. +Again the dates are approximate. + And so the prophecy was fulfilled. ...... My bet: c. 420 BC to 70 Ac = 490 years. + Order for Rebuilding Jerusalem: around 420 BC. 49 + 434 =489 years. + Roman attack & siege Temple besieged & destroyed (66 - 70)/ Roman Emperor (Ner0) death (c. 69 AC)/Year of the Four Emperors/ Fall of Massada (73 AC). __Again the story of the defeat of the Persian Empire and the division of the empire of Alexander the Great in four powerful Hellenistic empires, the struggle between Egypt (south) and the Seleucid Empire (Nord) but now add a mention to the last days (perhaps Rome without daily sacrifices to God) . 12 Then said he unto me, " Fear not, Daniel: for from the first day that thou didst set thine heart to understand, and to chasten thyself before thy God, thy words were heard, and I am come for thy words. 14 Now I am come to make thee understand what shall befall thy people in the latter days: for yet the vision is for many days." 2 And now will I shew thee the truth. Behold, there shall stand up yet three kings in Persia; and the fourth shall be far richer than they all: and by his strength through his riches he shall stir up all against the realm of Yavan (Grecia). 30 For the ships of Chittim (Rome) shall come against him: therefore he shall be grieved, and return, and have indignation against the holy covenant: so shall he do; he shall even return, and have intelligence with them that forsake the holy covenant. 1rst+ I mentioned earlier the struggles between the successors of Alexander the Great and the wickedness of Antiochus IV who wanted to ban the Jewish religion. Now it is necessary to mention the time of Michael. __Michael, It seems that he must protect the Jews for a period of time much harder than the previous ...... (destruction of the temple, wars between the Romans and Jews, Muslim invasion, religious persecution, the Holocaust, Israeli Arab wars) .......until disappearance of the wicked who oppress the holy people and the righteous people to shine (something like the apocalypse). And the kingdom of God will not be defeated. 2nd+ 2 "Time that the daily sacrifice shall be taken away and the abomination that maketh desolate set up" Dan 11 :31 & Dan 12 :11. + Jerusalem & Antioc IV because he organized an expedition against Jerusalem, which sacked. According to the Book of Maccabees, enacted several ordinances of religious type: tried to suppress the worship of Yahweh, Judaism forbade suspending all kinds of religious expression, commanded to eat foods considered unclean and tried to establish the worship of the Greek gods. *2nd Time: Dan 12 :11. + Is Rome because the Sanctuary was destroyed in 70 AC (the last week of 70) and has not been rebuilt. Logically the Temple should be that of St. Peter in Rome. The temple will be liberated 1209 days after its conquest by the enemy but better to wait 1335 days. + It seems that all the visions are related like a Russian doll or "Matryoshka"
+ I would argue that Daniel is informed of the facts of the future, until the last days and the conquest of the temple (Rome) and the end of the sacrifices of the priests (during 1209 or 1335 days best) , as Malachi and Nostradamus prophesied.